In his memoir Timebends, playwright Arthur Miller wrote that “I could not imagine a theater worth my time that did not want to change the world.” Certainly, his work set out to do nothing less; written in 1953, the year of the Rosenbergs’ execution on charges of espionage, his play The Crucible was formed as a powerful allegorical critique of McCarthyist America. Set during the seventeenth-century Salem witch trials, Miller used the hysterical paranoia that gave rise to the hanging of various “witches” to draw parallels with the treatment of supposed Communists in America, the trials relying on denunciations and rumour. In 2015, the tenth anniversary of Miller’s death, his words are no less potent, finding new resonances in current news items. 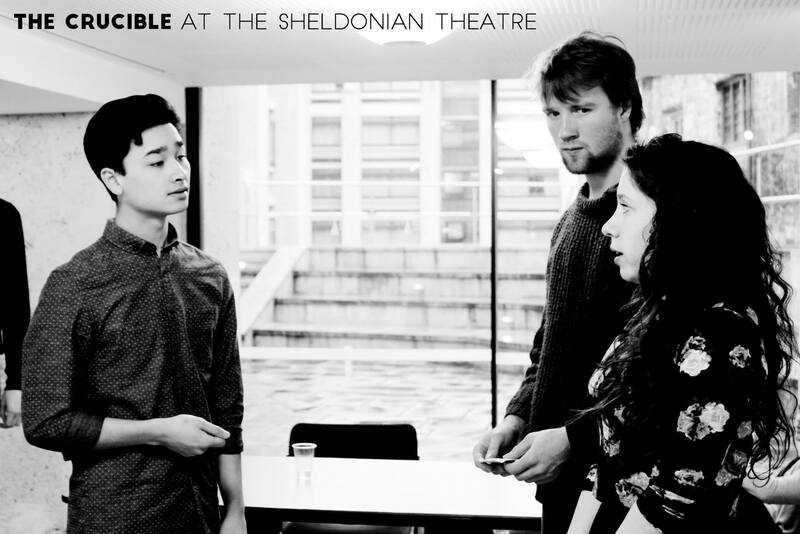 It is these contemporary justice issues that next week’s production of The Crucible (Christ Church Dramatic Society and the Oxford Innovative Theatre Company) is aiming to emphasise. “It resonates as a dramatisation of the ease with which group forces and extreme ideologies can lead to the miscarriage of justice; especially against women”, writes director Lily Slater. In particular, she mentions the high-profile apostasy case which saw Merian Ibrahim acquitted after being sentenced to hang for reusing to renounce her Christian faith. Staged in the Sheldonian Theatre, the first ever student theatre production to do so, the performance space is easily laid out like a courtroom, throwing emphasis onto the judgement and trial scenes. 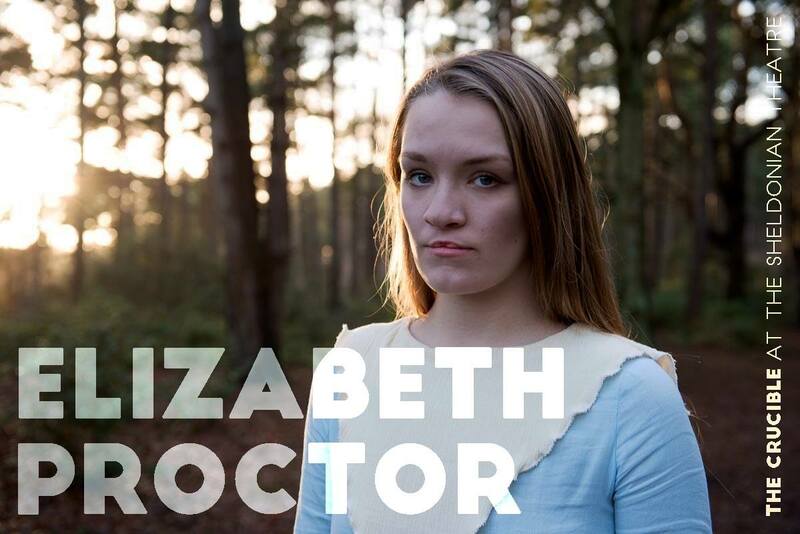 With the audience seated in a horseshoe configuration, the entirety of the cast will be seen for the first three acts, bringing the courtroom into the private spaces of the homes of Proctor and Parris. Certainly in Act III, shown for preview, the way the stage space was used made physical the divide between the blessed and cursed, accusers and accused. The actors were placed in symmetrical configuration with characters paired against each other, resulting in a distinct sense of “us and them”. Thomas Curzon and Sam Liu as Proctor and Danforth made compelling leads, with Liu bringing all the necessary sense of command and authority to his role. Danforth has easily some of the best lines in the play, encapsulating the absurdity of the system by which the accused are tried. Liu managed admirably with delivering these with conviction, whilst conveying that Danforth truly believes in the unimpeachable nature of the system he upholds. The leading women (Rosalind Brody as Elizabeth, Emma Hewitt as Abigail, and Linnet Kaymer as Mary Warren) were particularly well cast, with Brody’s quiet dignity counterbalancing the vituperative Hewitt and overwrought Kaymer. My only concern with staging the production in the Sheldonian is how the sound will carry. The acoustic of the theatre is variable at the best of times, meaning that the actors may have to resort to shouting to ensure that their words are not lost. Hopefully this problem will be avoided by the fact that the upper gallery is not being opened, but even the best of actors have a tendency to shout the dialogue in The Crucible, last year’s production starring Richard Armitage at The Old Vic being a case in point. Whilst a thoroughly outstanding production in nearly all respects, the lack of variation in dynamic level across the entire cast did slightly undermine the effectiveness of some of the more introspective moments. Slater says the cast are trying to circumvent this by nuancing John Proctor’s volatile personality, making his expressions of anger in Act II more soft and sinister than his primal outbursts in Act III. She also mentions the girls’ imitation of Mary Warren in Act III as being less highly energised, but as shown at preview this certainly seemed more hysterical than calculating. This aside, I look forward to seeing how this Crucible takes its final form. The sound production looks especially promising – the play will have music throughout, with an original score by Tom Herring and Alex Ho. Drawing words from the contemporaneous Bay psalm book that particularly focus on law and justice, they have composed choral ensembles that will be performed by the cast, led by Jacob Mercer playing Parris. The lighting design, so crucial for this play in establishing an atmosphere of suspicion and persecution, will be provided by Will Forrest, bringing in a lighting rig specifically created for use in the Sheldonian. If this production is a success, it will hopefully open up the Sheldonian as a more frequent performance space for student drama, and it looks set to be a great evening of entertainment. For more information and to book tickets, please visit the production website.